Winter in Ladakh is one of the harshest in India and temperatures can fall upto -30 degree Celsius at night. For the adventurous soul, this is the best time to visit Ladakh, as you not only get to experience near arctic temperatures, but also explore it at a time, when even quite a few Ladakhis leave Ladakh for better employment opportunities and warmer climate and there are only handful of tourists around. While this winter travel guide would help you prepare for your upcoming adventure, you have to keep in mind that there are very real dangers of traveling to Ladakh in winter and no amount of planning can help, if the nature decides to unleash its full fury or if you throw caution to the wind and stop listening to your own body. So remember to proceed with caution and treat nature as well as your own health with respect and care. How to prepare and plan for a winter trip to Ladakh? Planning becomes all the more important, when you are traveling to Ladakh in winter and it is best to have a rough plan in place and carry essential things needed for a trip of this scale, in order to avoid any complications later. Planning well in advance will not only help you get your gear and travel plan ready, but also mentally prepare you for this harsh yet wonderful journey. When designing your itinerary, it is crucial to schedule at least first couple of days in Leh, in order to acclimatize to high altitude and cold environment. It is also a good idea to spend the last day in Leh, so that you have a buffer day to fall back on, in case of any delays en route. For free personalized itinerary, please start a new thread in Ladakh and Zanskar section and we will help you out with that. Please go through our list of essential things for winter trip to Ladakh, for our recommendation on things you should carry, including types of clothes, shoes and eatables. 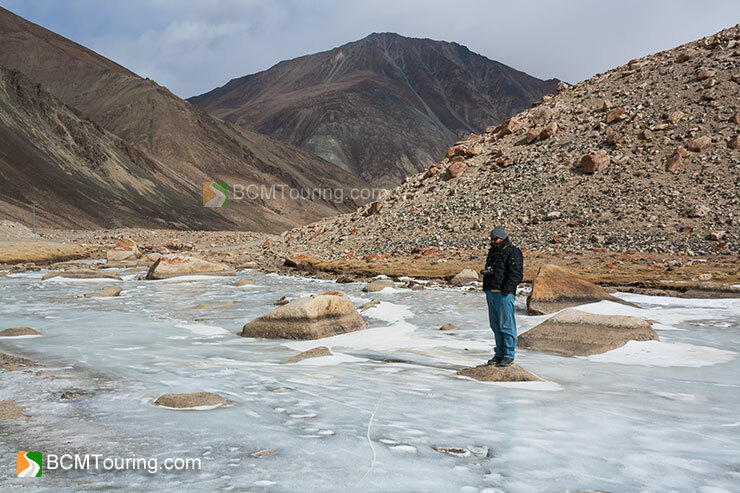 If it is snow you are after and wish to see and walk on the frozen Pangong Tso, then it is best to visit Ladakh between middle of January to end of February, when winter is at its peak and majority of snowfall occurs. While you do not need to be extremely fit to visit Ladakh, it is a good idea to start getting in the habit of walking and climbing stairs, before your trip. Because even after hiring a taxi, you will still end up doing a lot of walking and climbing stairs, while visiting monasteries, and at high altitude and in cold climate, your stamina would be a lot less than what it normally is. How to reach Ladakh in winter? While Manali – Leh Highway normally closes in November, Srinagar – Leh Highway remains open till December. However these aren’t the best time to take the land route and once both these routes close, the only way to get in and out of Ladakh is by flight. While several major airlines operate regular flights to Leh from Delhi, Jammu and Srinagar, due to fog and severe weather conditions, there can be delays and postponements at times, especially if you are traveling in January or February. How to travel in Ladakh during winter? During winter the only comfortable way to travel in Ladakh is by taxi. However at that time, finding seats in shared taxis is extremely difficult due to fewer tourists. Hiring a taxi while being expensive is the most convenient option and allows you to travel at your own pace and stop as often as you want for photography and sightseeing. You can find latest taxi rate for Ladakh here, though contacting drivers directly will allow you to get a custom quote based on your own itinerary and get discount on the listed price. Rigzin (+919622954779 and +919469472772) and Dorjee (+919906971501) are two drivers who have been hired by several BCMTians and have a good rapport. Hiring a taxi in advance will allow you to know the total transport expenditure you would be incurring, and you will also have the option of getting accommodation booked at various places through your taxi driver. If you do not wish to book taxi in advance, then you can arrange one through taxi union or your hotel, after arriving in Leh. What to do after arriving at Leh? After your flight lands in Leh, you should head straight to your hotel and try and acclimatize to high altitude and cold weather. By noon if you are feeling alright, then you can visit Shanti Stupa, Leh Palace and Main Market. However make sure not to overstress yourself, otherwise Acute Mountain Sickness can strike in a nasty manner. Try and stay indoors, after sunset, since temperature can fall quite rapidly, once sunlight is gone and dogs in Leh can be quite aggressive as well. Try and reach your hotel/restaurant before sunset and if you need to travel after sunset, do it in a taxi. While both the land routes to Ladakh close in winter, majority of internal roads remain open and can easily be explored in a taxi, even in peak winter. However please keep in mind that in case of Nubra Valley, Pangong Tso and Tso Moriri, road can get closed for couple of days or more, in case of heavy snowfall. Hence it is best to keep your plan flexible and avoid covering the above routes on your last day in Ladakh. Also keep an eye on weather forecast and check with locals about the prevailing weather and road conditions. Leh along with Sham Valley and Monastery Circuit has a lot to offer to a visitor and can easily be covered in 2-3 days. Add to that, Leh and surrounding area is comparatively lower in altitude and generally isn’t as cold as the Changthang Region and Pangong Tso. Hence it makes sense to spend the first couple of days exploring Leh (Shanti Stupa, Leh Palace, Namgyal Tsemo Gompa and Hall of Fame) along with Sham Valley Tour (Alchi, Likir, Spituk and Basgo Monasteries, Gurudwara Pathar Sahib, Indus and Zanskar Sangam and Magnetic Hill) or Monastery Circuit (Hemis, Thiksey and Shey Monasteries). Where to stay: While majority of hotels in Leh close down by middle of October, a few remain open. Since weather is extremely cold, it is best to stay in a hotel which offers central heating. Our recommendation would be for Hotel Tso Kar (Rs. 2500/night onward) or The Grand Dragon (Rs. 7000/night onward). Where to eat: Just like hotels, majority of restaurants in Leh are also closed during winter and finding delicious food is difficult, especially if you love spicy food. We recommend Neha Sweets in Leh Main Market, second last dhaba at Karu and restaurant next to samosa seller in Nimmu for delicious meals. Where to stay and eat: During winter, accommodation is severely limited in Nubra Valley, hence it is recommended to either book the accommodation in advance or at least confirm its availability, before your trip through your taxi driver or hotel in Leh. Our recommendation would be for Habib Guest House, which offers decent budget accommodation and food and has gas powered heaters. Pangong is one of the largest high altitude lakes in India and while only one third of this 135km long lake is in India and rest in China, it is nonetheless a slight to behold. 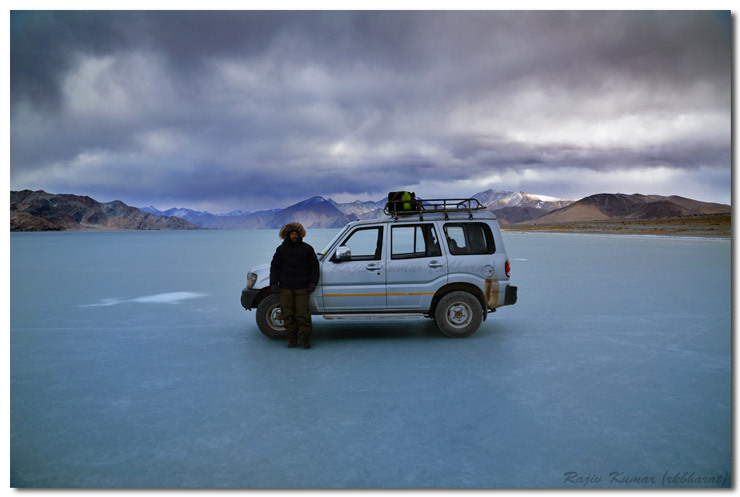 During peak winter (mid-January to February end), Pangong Tso becomes completely frozen and hard enough for cars to drive on! It is a must visit for all travelers, no matter how many times you have visited Ladakh. There are also several smaller lakes and streams en route, which you can explore and on normal permit, you can drive up to Merak Village. Where to stay and eat: While you might be able to find homestays at Spangmik or Man and Merak Villages, it is best to spend the night at Tangste Village, which is lower in altitude and comparatively warmer. Only budget accommodation is available in Tangste with Ladakhi toilets and gas powered heaters, which you have to shut off at night. Food too is a basic affair at Tangste, and nonexistent at Spangmik, unless you can convince a local to cook for you. Second last dhaba at Karu is a good place to have breakfast. Where to stay and eat: Hot Spring Resort at Chumathang is just about the only option, if you are planning to visit Tso Moriri in winter. It is also a very comfortable place to stay, since it is located on top of Hot Springs and remains comfortable, even at night. Karu en route to Tso Moriri is a good place to have breakfast, while for lunch and dinner, Chumathang is just about the only option, since there is almost nothing available at Korzok Village, which is located on the banks of Tso Moriri Lake. If you are traveling from Pangong Tso to Tso Moriri, then have your lunch at Chushul Village, since the tea shop at Nyoma isn’t open at times. Chushul, Hanle and other areas in Changthang Plateau aren’t open for foreigners, and they can only go till Merak Village on Pangong Tso side and Loma Check Post. In case of Indians, getting permit for Chushul is half the battle, since even after having permit, Army or ITBP can turn you back, based on the condition along the LAC (ceasefire line between India and China). 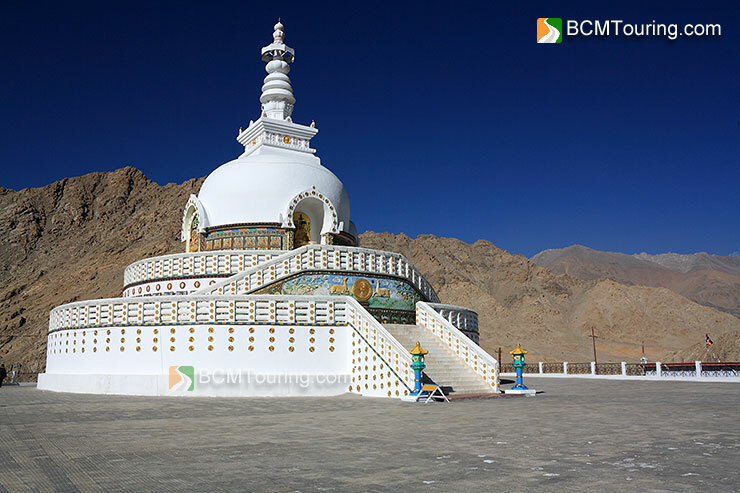 However if you do manage to get the permit and then permission to go across Chushul, then it is a lovely place to visit, since off road drive along the Pangong Tso is a wonderful experience and at Chushul, you can visit Chushul and Rezang La War Memorials. At Hanle you can visit the highest altitude observatory in India and Hanle Monastery. From Hanle you can visit Photi La, Chummur, Kyun Tso and from Chushul or Mahe, you have the option of visiting Mitpal Tso and Yeye Tso. However do these routes only if you are interested in exploring off beat places that few if any go to and don’t mind traveling on extremely bad terrain with no help around for miles. Where to stay and eat: Chushul has restaurant where you can have noodles or maggi, while Nyoma has a tea shop as well. Accommodation is available at Hanle in the form of Sonam Guest House, which only has wood/dung powered heating during winter. Observatory Guest House at Hanle is a comfortable place to stay at; however it is no longer open to civilians. Hence you will need contacts to get permission to stay there. If you are interested in visiting Lamayuru Monastery and Kargil in the dead of winter, then you can do that as well, since the road between Leh and Kargil remains open even in winter. You would also be able to club Sham Valley circuit in this trip with a night stay at Kargil. Where to stay and eat: Majority of the hotels in Kargil would be closed at that time; hence the best option would be to stay at the JKTDC Guest House. Food at Nimmu is good and at Kargil, you should be able to get food at JKTDC Guest House. Since you will be traveling in extremely cold climate, it is best to keep yourself warm, as much as possible and avoid taking off gloves while outside (change camera settings before getting out of the taxi) and if you have to take off your gloves, make sure to put them back on again, as soon as possible. Avoid moving from hot places eg. heated room/restaurant to outdoor immediately, spend a few minutes between both the places eg. door and let your body get used to the cold temperature, before proceeding further. Avoid going out with wet hair or cloths, since that can lead to headache or worse, hypothermia. Make sure to eat regularly and consume plenty of protein and fats, in order to keep yourself warm and energy level up. Regularly munching on dry fruits is a good way to get essential fatty acids and protein. Make sure to stay hydrated by regularly drinking water and make sure the water you are drinking is hot. Carry couple of thermoses per person and get them filled regularly at your hotel and restaurants. Avoid traveling with more than 4 passengers in a taxi (5-6 in case of Xylo), since due to heavy clothing, space is at a premium and more people will only make the trip uncomfortable. Also make sure heater isn’t running inside taxi, unless you really need to warm up fast. Because if the heater is running, then stepping outside the taxi can cause headache. In case you have any queries about traveling to Ladakh, please feel free post it in our Ladakh and Zanskar Forum, and we will help you out with it. Thanks Nirmal, glad you found this useful. Very well written. Everything is there.Great help. Thank you Manoj, glad you found this helpful. Nubra Valley and Pangong Lake; do you belive the last two would be possible ? Hello Ana, I just checked the weather prediction and yes it looks a bit dicey during that period. However, you should not lose hope, since light snowfall wouldn’t cause any major issue. Having said that, get the permit for Nubra Valley, Pangong Tso and Tso Moriri. That way if Khardung La and Chang La get blocked due to snowfall, then you can head to Tso Moriri Lake, which hopefully should be open. Hello Yogest: thans for your inmediatly answer and for another good value advice. I don’t put Tso Moriri in my route because we have few days and priorized the highest mountains. Any place we could visit would be okey. Ana, Tso Moriri would be your backup plan. 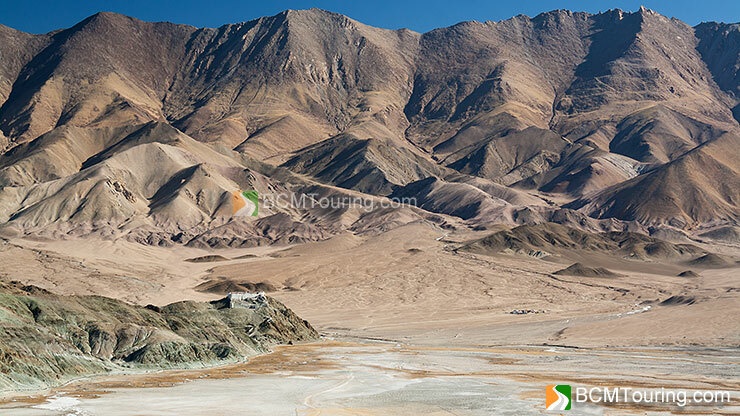 If you are not able to visit Nubra Valley and Pangong Tso, then you can visit Tso Moriri. Khardung La and Chang La can close down more easily in case of snowfall, than the route to Tso Moriri. Round trip to Pangong Tso and Nubra Valley is possible. Round trip to Tso Moriri can be done, but it will take almost 14 hours. Yogesh ji is always on the dot. I would add that if Khardung La is out of bounds and heading to Tap Moriri, try Chushul and Handle from Pangong to Two Moriri. And don’t forget a night stay at Chumathang, by the side of geysers. Aman, road trip in mid-December wouldn’t be a good idea. Since both the routes would be either closed or on the verge of being closed. Better option would be to go there in September-October or fly to Ladakh in mid-December. Though I’ve read many travel articles on Ladakh and most of article gives surface idea but your post is give a-z idea and necessary suggestion on a destination like Ladakh. I’ve never travel this land typically winter. Thanks for helpful info and wanna suggest to other before landing your must read at least one time. Sir, will it be possible for bike trip during October 2nd week to Leh, via srinagar as Manali would be closed or too dangerous to take. Has anyone visited the Dah Hanu Villages during winter? Any recommendations for Homestays there? Hi i will be travelling to ladakh in sep between 18-25th . Can you pls advise me on weather conditions at that time. Also when is the ladakh festival this year as Govt website is not updated. http://www.youtube.com/watch?v=p98X3H8LKyU&sns=em . Comments from members are most welcome. If you are traveling to Ladakh, then it could be a great fun of river rafting at Zanskar valley. You just need to confirm that you are not going in an odd time. I was looking for info on Ladakh during winter and got this post by you , which have all the necessary details , I have booked my flight tickets from delhi to leh 8-15 nov for couple, need your suggestion for taxi and hotel stay still open during that time of the year . Will snow be a problem for road bloackages!! I am planing to visit Leh between 4th to 8th April, 2016. I will reach Leh by flight. Can you please confirm that, Khardungla pass and pangong Lake is accessible in April first week? Also I want to know how the weather at this time? For my August 2009 travel to Ladakh from Ahmedabad in Swift Dzire, I solely depended upon Shri Yogesh Sarkar’s articles . Then in 2012, we travelled to Ladakh in January. We hired Overland travels and they arranged Tavera, stay, food…everything. It was great fun filled two weeks. Home stay at Tso Moriri wasn’t that good but Pangong and Turtuk were superb. Don’t miss Chaddar trek also. All the best. Great blog !!! Your response to queries is really great, fast and helpful. We are a group of 6 guys going to leh Ladakh for 12 days from Delhi on 3-4 bikes. We are thinking of starting from Delhi- Srinagar- leh-manali route. we were hoping of camping for overnights as we have 3 tents, to cut the cost and add to the experience. which places do you recommend we camp. Is it possible to camp at kargil, leh? And also is there any way we can skip leh and cover hunder- pangong tso-Hanle- tso moriri. Also being students we are a bit hard on cash so is it possible to do the journey with 13k-15k per head. we have our own bikes. Could you suggest us detailed plan for 12 days for us to follow. Waiting for your reply. Thank you in advance. hi Yogesh, Namaste, it is so informative to read your travel guide , it helps a lot. Im thinking to stay in Hemis monastery for a week, is that possible during winter? i Have bought my air ticket flying from Malaysia to Delhi then to Leh on 13th Jan 2017. There are home stays available nearby, it should be possible to stay there during winter. Having said that, I will let you know in a few days, since I will be traveling to Ladakh at month end and will check once I am there. Thanks Yogesh, really appreciate your kindness to share info. I have another plan to hire a taxi for the whole trip during my stay in Ladakh for about 10 days, how much would it cost? i don’t think it will be easy to find someone to share cost during winter period. and i do enjoy photography very much, if i can manage to hire a taxi, then i will have more freedom to stop anywhere i want when i see some nice view for shooting. The information you have given is perfect to plan a trip to ladakh. 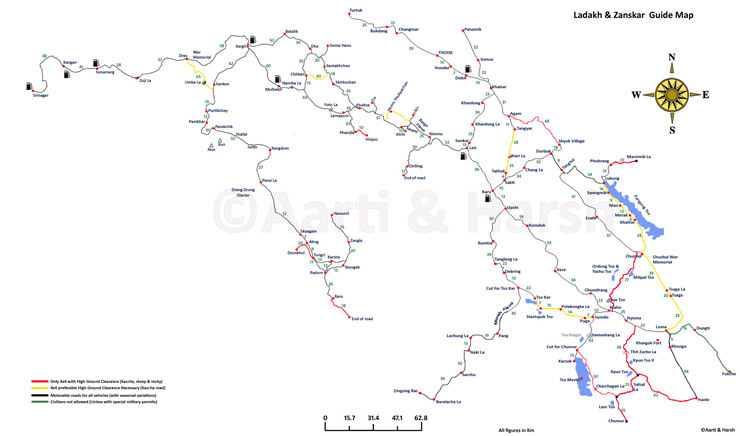 I am planning a 4 day trip to leh (excluding transport) from pune in 2nd week of November with few of my friends. We are around 10-12 people and wish to visit Jammu too before or after leh (additional days). So can you please suggest wether if it is the right time to plan a trip to leh as it is our first time & if yes which mode of transport will you suggest to reach leh? Also we are planning to visit nubra valley & pangong tso along with leh local sight seeing… is this possible around that time? Hi, I’m planning to visit Ladakh during last week of Dec’16. I’ll be accompanied with with my wife & kid whose age is 13 years. I am planning for the cheddar lake trek in jan last wwek from 22 nd. After finishing the trek , i plan to stay back in leh and visit places around,I mainly want to cover Pangong tso and tso moriri. is it possible nd what mode would u advice me to take. 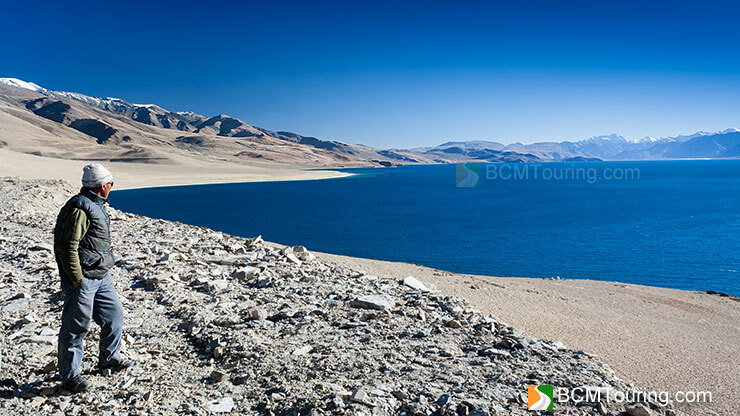 You can certainly travel to Pangong Tso and Tso Moriri at that time of year. Even though buses will be available, better bet would be to hire a taxi. Yogesh Ji has, as always, correctly described the conditions there. I did a small trek on Zanskar (Cheddar trek) in Jan end 2012. We had to go slightly beyond Chilling to start the trek and went further up. Be careful about water streams flowing underneath ice layer. Take a guide, highly recommended. Hi, I travelled to Ladakh in winter from Jan 26 to Feb 9 in 2012. Did a bit of Cheddar trek too but had to go beyond Chilling to start the trek. Take a guide along as below the ice surface, strong water currents are there. sir, I have booked my flight to let on 9th december 2016, will you please help in knowing the weather of let in december. so i can mentally prepare my self from my home. also we are planning to visit nubra valley, pangong tso and khardungla…. is this possible around that time? I am planning to visit ladakh on the 25th of january 2017 with friends. Please suggest if that time is good for the trip and if we will be able to cover almost all tourist spots in 4 days? Isha, you’re traveling to Ladakh during the peak of winter. It is a good time if you’re prepared to face temperature dipping to minus 25 degree Celsius. Otherwise, it would be a better idea to travel to Ladakh in summers. 4 days are too few, especially this time of the year. At max, you can squeeze in a quick visit to Nubra Valley and Pangong Tso, along with a few places near Leh. That too, if the adverse weather does not closes Chang La or Khardung La passes temporarily. I am planning to spend the winter in Ladakh!! In that case, will I be able to get a room at rent for periods of 1 or 2 month? Yes, you would be able to find a room for long term rental in Ladakh. We, group of 5 people planning for a trip to Leh via Manaliin October from 20th October 2017 to 30th October 2017 by car. We will be visiting all the places around Leh – Nubra, Khardung La and other 2 or 3 places. Do you think will it be feasible for us to travel on these dates? Sanket, you’re traveling towards the end of the season. At that time, everything depends on the weather. If high altitude passes receive a lot of snow, then driving can become difficult. Add to that, most of the tents at Sarchu and Pang will be gone by then and quite a few hotels in Leh will be closed and few if any options will remain open at Pangong. Travel cautiously or if possible, prepone the trip by couple of weeks. Hi, we are 2 people me and a lady friend, travelling in the end on December. We want to experience this trip as real as it can get, also to save in accommodation we are carrying our tent. So can we camp near Pangong, Moriri and Nubra? You can try and camp. However, unless you have experience and equipment to camp and cook in temperature falling below -15 in evening at places even below -20 degree Celsius, it wouldn’t be a good idea. Plus the driver you hire will need a place to stay as well. And at these sort of temperatures, losing a limb to frost bite or worse is quite easy. Adding to Yogeshji’s excellent advise, Home Stays are available in Mirik and other villages with food and other basic facilities. Even with a coal type room heater (up to 9 PM only) and lots of wollen all over us, the morning temperature of our room was -5 C and we were shivering. That was in end January. End December will be still severe. Do not take unnecessary risk. Hi Yogesh! It’s been a while since you’ve been active on this post as I can see so I don’t know whether I will get a reply or not but here it goes. Me and my friend are thinking of travelling via flight to Leh on 14th November and return on 22nd November 2018. Would I be able to cover most of the significant spots? Also, how is the getting around done? Can I hire a cab or a self drive car? You will be able to hire taxi easily, they are available throughout the year. There are no selfdrive cars in Ladakh and those from outside aren’t allowed to travel to Nubra and Pangong. Hi Yogesh…Is there any Nubra will be closed in November. I have flight on 13th and are thinking to cover the same on 14th.is it viable? Can we hire a bike to get around? Thanks!